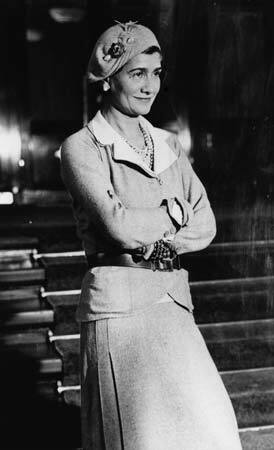 Today we offer a bit of inspiration from one of our style icons, Gabrielle “Coco” Chanel. One of our favorite quotes from Chanel is, “A girl should be two things: classy and fabulous.” Her own style was a mix of finely tailored menswear-inspired pieces with just the right feminine touches. Chanel was an innovative and independent thinker and one who to this day, ironically, is imitated time and time again. She freed women from their corsets, invented the little black dress and, of course, created the first couture perfume, Chanel No. 5. She is immortalized in several movies, including the recent “Coco Chanel & Igor Stravinsky,” starring Anna Mouglalis and the 2009 film “Coco Before Chanel,” starring the also stylish Audrey Tautou. Tomorrow when you are readying yourself for the day, don a little black dress and perhaps some pearls; spritz on a bit of your favorite Chanel fragrance and Re-find your inner Coco, but with your own personal flourishes, of course. Be classy and fabulous. P.S. We do not condone Coco’s smoking or her, ahem, affairs with married men. I was gonna say! She is many great things to me, but charming?